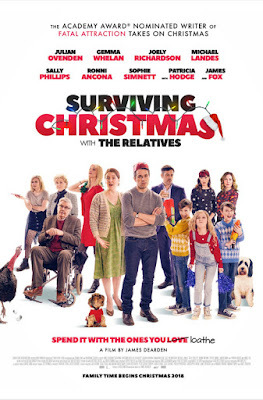 CELIA IMRIE CHRISTMAS JOELY RICHARDSON JULIAN OVENDEN MICHAEL LANDES DELIGHTFUL NEW BRITISH FESTIVE COMEDIES 'SURVIVING CHRISTMAS WITH RELATIVES' WITH JOELY RICHARDSON, JULIAN OVENDEN, MICHAEL LANDES, 'NATIVITY ROCKS' WITH CELIA IMRIE! DELIGHTFUL NEW BRITISH FESTIVE COMEDIES 'SURVIVING CHRISTMAS WITH RELATIVES' WITH JOELY RICHARDSON, JULIAN OVENDEN, MICHAEL LANDES, 'NATIVITY ROCKS' WITH CELIA IMRIE! No US release date for this one yet! disasters for you today as we're only about a month away from Christmas, believe it or not! 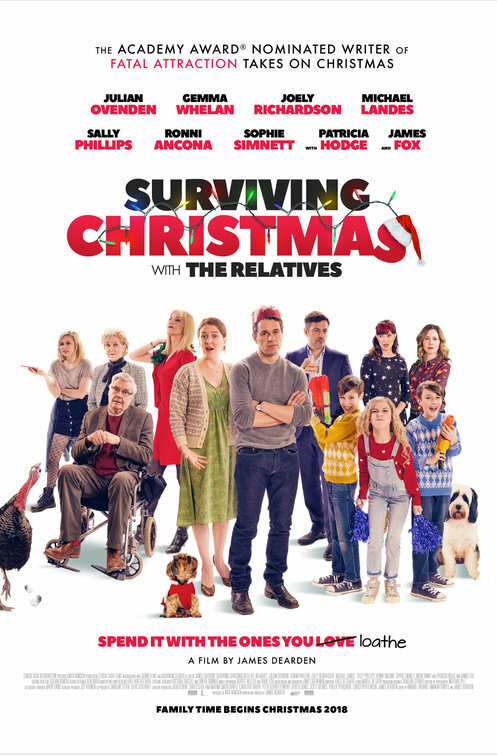 SURVIVING CHRISTMAS WITH RELATIVES is an ensemble comedy opening in cinemas at the end of the month. Joely Richardson, Julian Ovenden, Gemma Whelan, Michael Landes, Sally Phillips, James Fox and Patricia Hodge are just some of the well known names appearing in this delightful story about two sisters and their families who spend - or rather, endure - Christmas at their late parents' dilapidated country house. Oscar nominated writer James Dearden (Fatal Attraction) is both writing and directing this one! 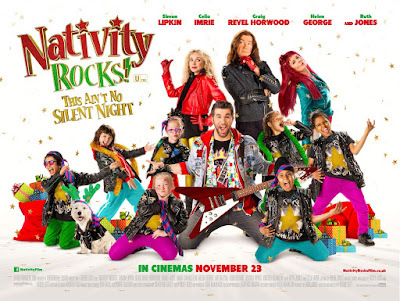 The comedy musical is hitting cinemas in UK and Ireland November 23rd! story about the staff and students from St Bernadette's Primary School in Coventry who audition for a place in a rock musical competition.